DF Discoverer on mining site. Reference photo by Diamond Fields International. Vancouver-based Diamond Fields International (TSXV:DFI) announced that it is set to resume its mining activities off the coast of Namibia in 2018. In an alliance with International Mining and Dredging Holdings, the Canadian miner ran a bulk sampling program whose results officials say "were extremely encouraging, with an unexpected high frequency of large, high-value stones." According to a press release signed by DFI's CEO Sybrand Van Der Spuy, diamonds recovered from the so called "concession ML 111" are of the highest gem quality. The recent testing, he said, even exceeded his expectations. Following a stoppage caused by weather conditions and executives’ need to devote time to the build the new partnership structure and mining plans, DFI decided to resume work by targeting a seafloor area of approximately 55 hectares. 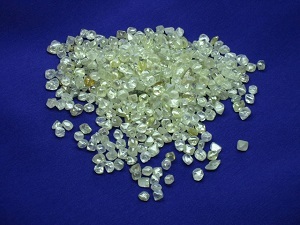 Parcel of size-graded marine diamonds. Photo by Diamond Fields International. The plan will be executed using the Ya Toivo mining vessel which is equipped with a 4 point-mooring-system integrated anchor-assist and a dynamic positioning system which ensures vessel stability during turbulent sea conditions. The vessel is further equipped with a Remotely Operated Subsea Tractor which, the company says, is "capable of highly efficient and selective mining on the sea floor." The mining licence for the concession ML 111 is expected to be renewed for 10 years by December 20, 2017. Among the conditions for reissuing the permit is a requirement that the company undertake a new environmental impact assessment and have an Environmental Management Plan Report prepared and approved. 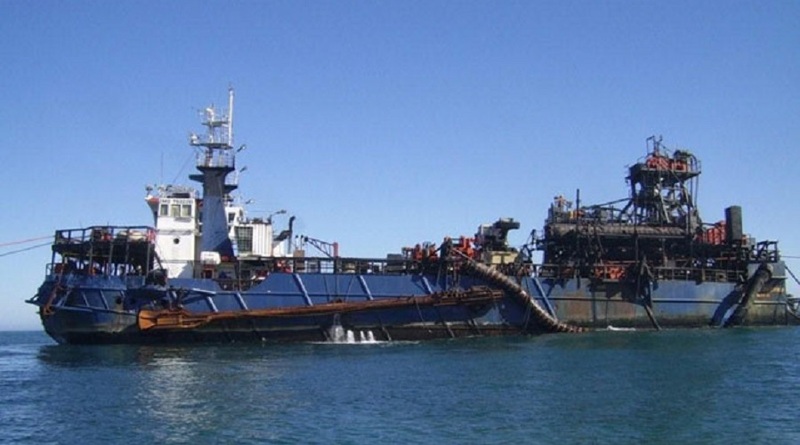 Sea-floor mining has sparked some controversy in Namibia, with environmentalists and fishing companies asking the government to ban such practice -particularly when it comes to phosphate extraction. The activists worry about the possible destruction of seabed habitats, the release of heavy metals and other dangerous materials such as hydrogen sulphide trapped in the seabed, algal blooms from mobilised phosphates, underwater noise pollution and reduced photosynthesis. Much of these effects, they say, could be caused by the types of vessels and the processes used for marine mineral extraction.